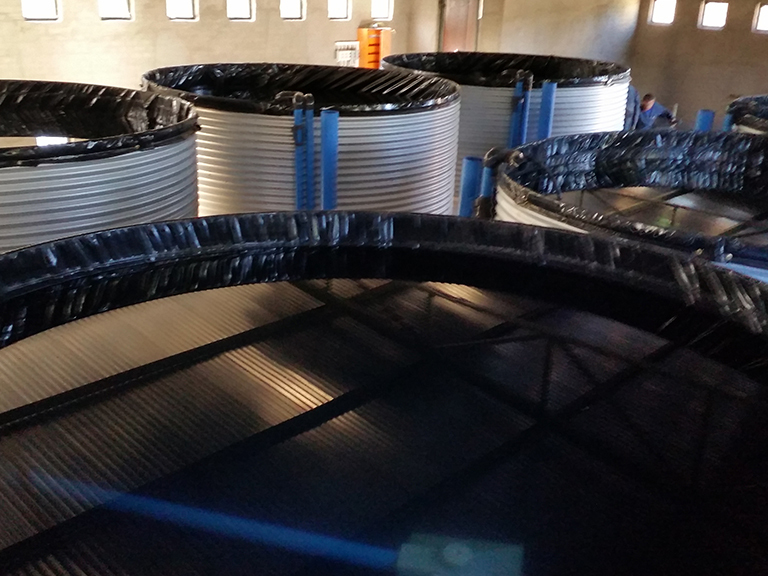 Tata Ma’s zinc reservoirs are manufactured to be DIY or factory installed by one of our factory installation teams. 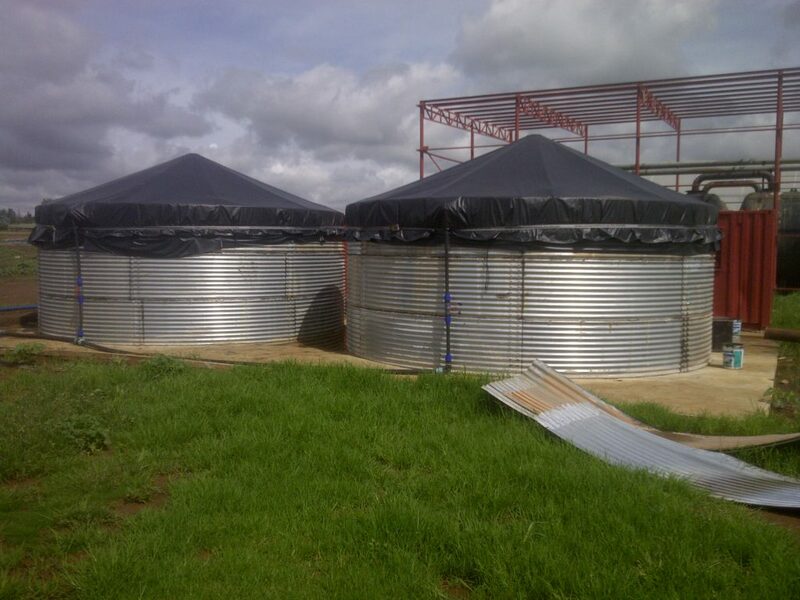 These dams are made from rolled 0.8mm corrugated zinc sheets and fitted with a UV stabilized 520 micron reinforced PVC liner and come standard with a 50mm outlet. Other sizes can be fitted on request. A UV shield is recommended when a reservoir cover is not being used. A 320 micron PVC mesh (net) is a specialized reinforced PVC mesh that is welded into place on the dams walls to protect the liner from extended UV damage, it covers the section of the liner that folds over the outside of the wall, the section on top of the wall and approximately the first 70cm inside the dam. This is especially useful on irrigation dams where the water levels are continually fluctuating, leaving the walls of the dams exposed to the suns UV rays on a daily basis or for an extended period of time. All reservoirs can be fitted with either a 280g PVC mesh net or 550g reinforced PVC solid cover. 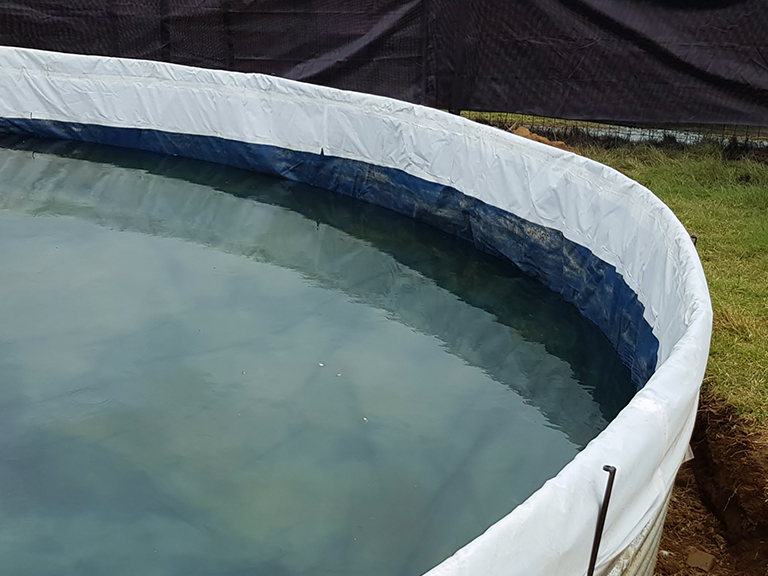 By adding a reservoir cover one reduces/ eliminates harmful UV rays prolonging the life span of the liner, preventing debris entering the water, reduces evaporation and in case of the solid 550g cover will also prevent algae growth in the water. CLICK HERE: For More Information On Reservoir Covers.